Although we backup entire hosting server every day and keep consecutive backups for several days and weeks, we strongly recommend that every client should have their own backups. The backups we take are for emergency purpose i.e. disaster recovery in case of hardware failure such as multiple disk failures. 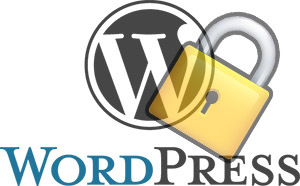 The question may arise, how do you take a backup of your entire website? And which files to backup? 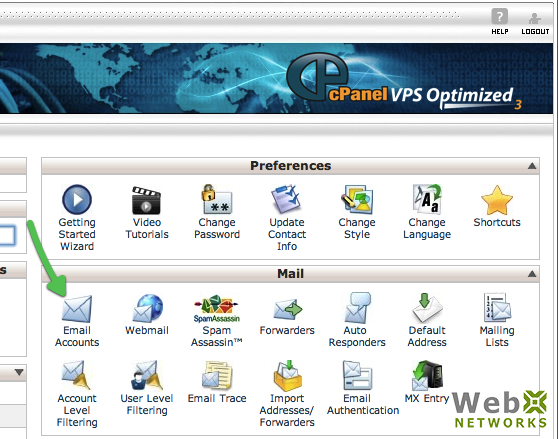 cPanel makes it easy. Taking Backups of Web Hosting Account in cPanel is straight forward process. cPanel Backups allow you to download (to your computer) a zipped copy of either your entire site (including your home directory, databases, email forwarders configuration, and email filters configuration) or one of the previously mentioned parts of your site. As highlighted in the screen shot below with red square, you can find the Backups icon and link under Files section in cPanel. Click that to access Backups screen. The next screen has a video tutorial on how to generate a full backup. We explain here as well. A full backup includes all of the files in your home directory, your MySQL databases, and your email forwarders and filters. You can back up your account to preserve your data, or to move your account to another cPanel server. This full backup can only be used by server administrator (with root privileges) to restore entire account settings and data (including website files, mysql databases, emails). It cannot be used on the cPanel interface by you to restore an account. It is useful for safe keeping. b) Or you can upload the backup to a remote FTP server or SCP. 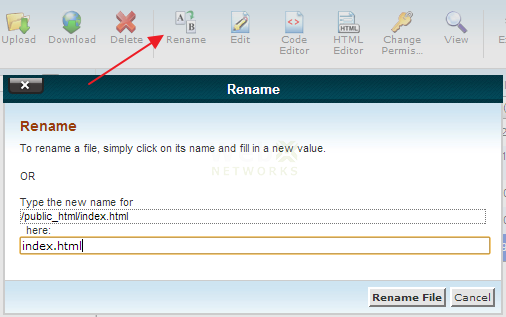 You also have the option to enter your email address where notification will be sent by cPanel once backup is completed. And when it is complete, it will show up with a link to download. Simply click on the link of the file to download the backup on your computer. On the main backup screen you also have the option to download partial backups i.e. your home directory that contains all your files and emails, your databases, your email forwarder settings etc. 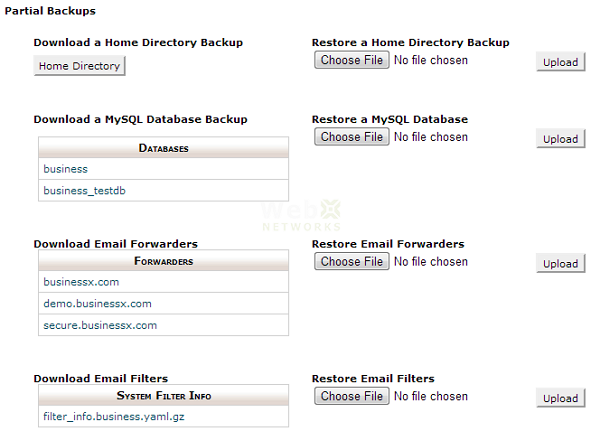 These partial backups have an advantage that they can be used by you to restore a portion of the site. Please note that Home Directory contains website files as well as email accounts. You can open the downloaded zip file and extract the files on your computer to find and restore individual files from it. The Backup Wizard available under Files section does the same but it has a different work flow to make it easy for you to download and restore backup. Hope this helps you keep regular backups of your important data. We cannot stress enough how important it is to keep regular backups and multiple backups. If you need any assistance with backups, please do not hesitate to contact us or you can post your comments and questions below. Welcome to this tutorial on how to manage Email Accounts in cPanel, including creating new email account, changing email password or disk space, deleting email account or finding the details of email client software configuration. We assume that you have already logged into cPanel. Click Email Accounts icon under Mail section. You can create your required email address on this Email Accounts screen for any of the domains you have in your account including addon and parked domains. You can also see all email accounts that you have created earlier and can manage them e.g. change password, change disk space for email account, delete an email account, get the details of email configuration to setup in Outlook, Thunderbird or other email software on your computer. 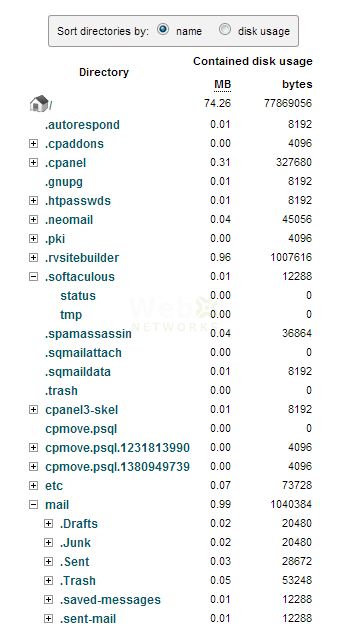 The list of email accounts also shows how much disk space is used by each account. We are going to create a new account so we’ll focus on that part of the screen. Enter your desired email user. 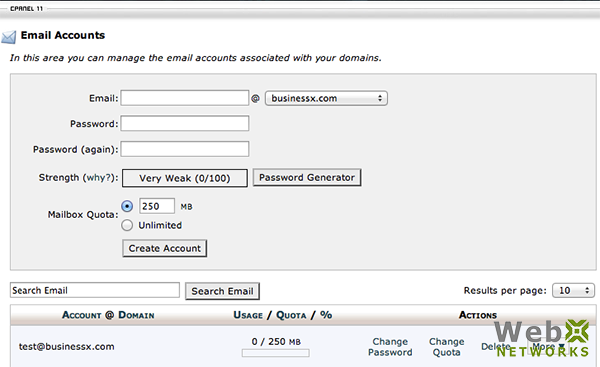 For this tutorial we use john@businessx.com as the email address. Next enter a strong password. The strength indicator will show you how strong is your password. Try to use alpha-numeric, upper-lower case combination with a few special characters. Never use dictionary words or your name etc. You can use the Password Generator for help in creating a strong password. Remember the password or note it down safely where only you can access it. You can set the mailbox quota here as well. This is for the storage of emails for this particular email account in your hosting account. Please note that if this email account uses all the disk space you define here and is full, any new email will be rejected by the server with Mailbox quota exceeded error and returned to the sender of the email. Click Create Account to finally create the email account. Now that the email account has been created, it will be listed on this same page. If you have already forgotten the password 😉 you can change it by clicking Change Password. Similarly you can change the disk quota or delete the account altogether and start over again. Click More to access a drop down menu with two more options. 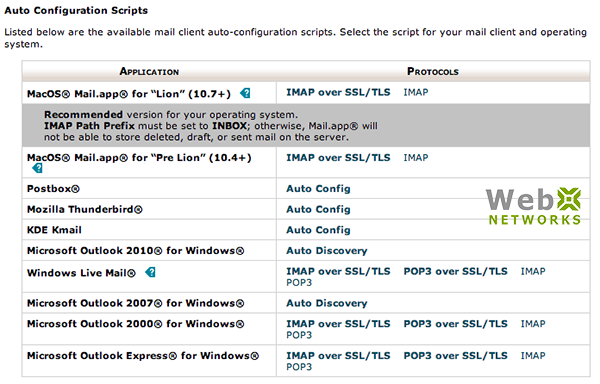 You can select Access Webmail which will ask you for the email password and then login you to webmail. We’ll talk about this in another post. Click Configure Email Client to view the page that provides manual and auto-configuration for a number of email clients such as Microsoft Outlook, Mac Mail, Postbox, Thunderbird and KDE Kmail. Please use Secure SSL/TLS Settings (that is why they appear recommended). 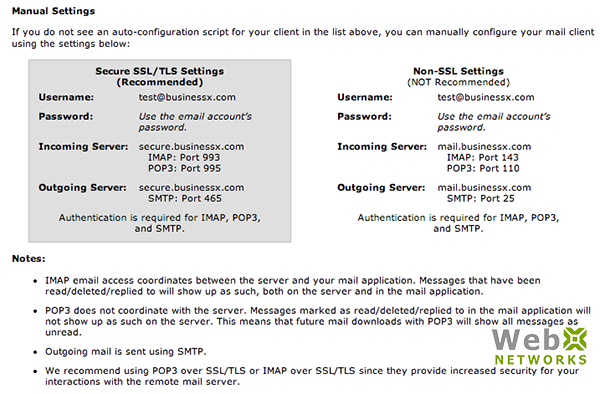 Also make sure to setup authentication for SMTP to send emails from the server.